Lilly Vazquez is the Leasing Coordinator for Specialized Property Management. She has over fifteen years of experience in the property management industry ranging from residential to LIHTC properties and is primarily responsible for preparing new leases with tenants, generating market comps for owners for upcoming lease renewals, and preparing lease renewal offers to tenants. 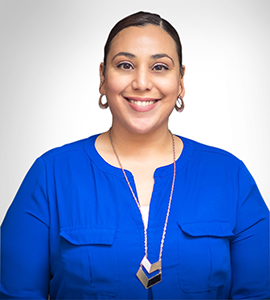 Ms. Vazquez holds a Florida broker-associate real estate license and is also experienced with real estate sales focusing on investor purchases in the Central Florida area. Ms. Vazquez attended business school in New York City where she studied Travel & Hospitality. She enjoys spending time with her family and can find her in a basketball gym or softball field on the weekends supporting her children.